The border war is back! Sort of. 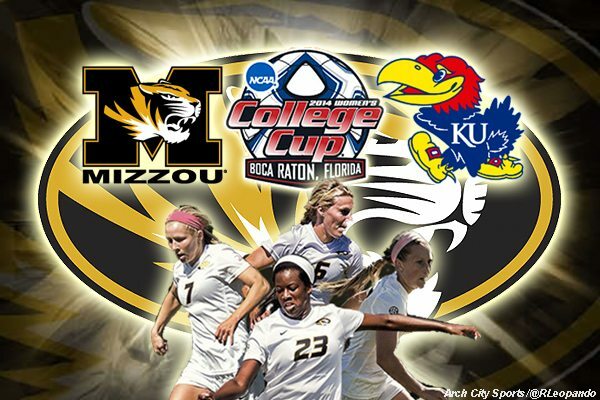 The Missouri Tigers will take on the Kansas Jayhawks in a first round matchup in the NCAA Division 1 women’s soccer tournament. Head coach Brian Blitz and his team will travel to Lawrence for the matchup on Sunday, Nov. 16 at 1 p.m. This is the sixth time the soccer team has made an appearance in the tournament after finishing the regular season with a record of 11-6-3, highlighted by wins over Kentucky, Georgia, and South Carolina. The Jayhawks come into Sundays match having finished the regular season with a record of 15-5 and finished runner-up to Oklahoma in the big 12-championship game. This is only the second time the two schools have met since the Tigers left the Big 12 for the SEC. The only other time the pair of schools played was this past spring in softball, a game Missouri won 6-3. Sunday’s match is another tough one for a Missouri squad that has had their ups and downs throughout the season. The big key for the Tigers will be setting the tempo out of the gate. It’s going to be up to veterans Taylor Grant, Reagan Russell, and Kaysie Clark to carry the load and put Missouri on the board early. If the Tigers can score early and maintain possession they should have a good shot at winning this contest. Missouri has a dynamic midfield led by the younger of the Clark sisters Kaitlyn Clark, who has two goals and four assists on the season. Additionally the Tigers will need senior keeper Mackenzie Sauerwein to step up and play her best game of the year with the inconsistency of the Missouri back line. Kansas leads the all-time series against Missouri 10-9-1.